What makes Vision Press a superior service provider is most evident in how we participate in the process. 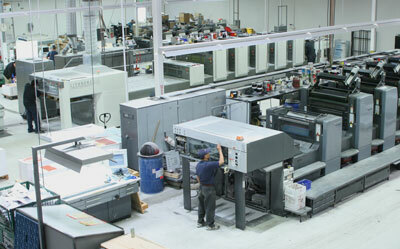 We know that the best printing results come from early planning and adequate preparation. Our clients routinely involve one of our solutions specialists in every aspect of a given project. Long before the presses come up to speed, we are often consulted on construction designs, materials, delivery systems, tracking & inventory, economies of scale and customization options. We assist our clients by incorporating efficiencies from the outset. These efficiencies translate into project savings. There is no extra cost for this level of service, it’s simply part of the value we add to every project. Our competitive pricing speaks for itself.